Saint Emilie founded the Congregation of the Sisters of St Joseph of the Apparition in Gaillac in France. On Christmas night in 1832 she set out with a few friends and the new Congregation was born. St Emilie was very sensitive to the problems of the poor of her time. She also had a very modern outlook, great personal courage and great faith in God. In her life Saint Emilie had many setbacks and many problems to overcome, but her faith in God and belief in her mission gave her courage to persist in her aims. St Emilie de Vialar believed that a school was an apostolic means of offering help to the neighbour, and for her, education meant the education of the whole person. Each child was unique and the whole aim of Christian education was to help each child discover the personal love which God has for her. For Emilie, a great respect and concern for each child marked the ideal relationship within the school. Her ideas and her instructions to her sisters were very modern in attitude. Education was not merely academic but more importantly it should teach the students how to relate to the people around them. We do not know for certain whether St Emile de Vialar came to Malta to found a House or whether she arrived, due to a storm, while travelling on a sailing ship on her way to France from Tunis. What is certain is that she was travelling with Sr Emilie Julien and the first Foundation in Malta was established in 1842 in two houses rented in Vittoriosa. The first school opened its doors to around one hundred day pupils and ten boarders. These were difficult times for the Sisters whose only source of income, school fees, had to cover the enormous cost of a heavy rent and salaries of the English teachers. In 1845, the Sisters left Vittoriosa and went to live in Valletta. Mother de Vialar had to leave for Gaillac, leaving Sr Emilie Julien as superior in Valletta. Emilie de Vialar died on the 24th August 1856 and in 1858 the community in Valletta was closed down and the Sisters moved to Cospicua. On the 26th July 1858 the new House was opened in Rue San Giorgio. 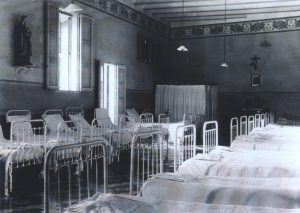 In 1859 Rev Mother Emilie Julien (who had succeeded the Mother Foundress in the government of the Congregation in 1856) sent three hundred francs from Rome to help the Sisters with their needs in Cospicua. 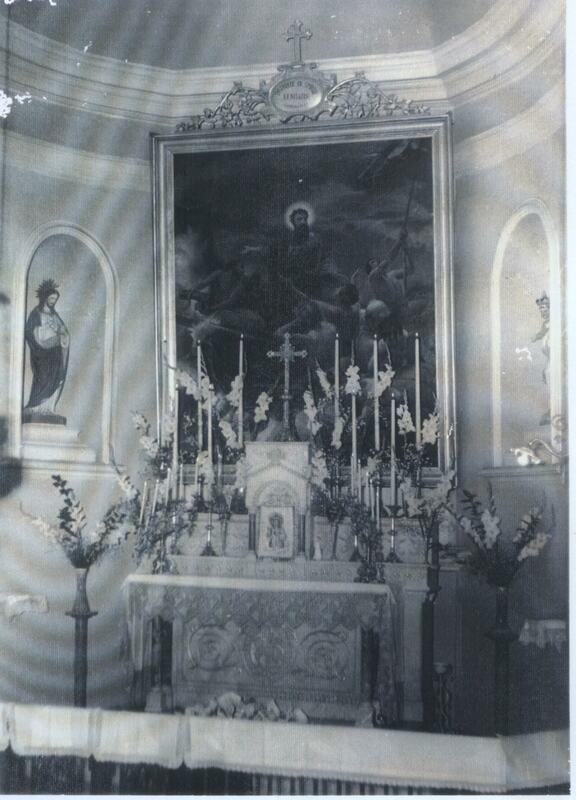 She also sent a picture of St Paul and asked the Sisters to dedicate their chapel to him. This was in fulfillment of a vow made by Mother Emilie de Vialar during the perilous crossing with Sr Emilie Julien, if they arrived safely into harbor and should they ever make a foundation there. In Cospicua the Sisters once again found themselves deprived of all resources, with debts owing and expenses to incur. But by 1860, thanks to Divine Providence, prayer and sacrifice, the tide began to turn and the years 1860 to 1878 were a time of great consolation. Gradually the Sisters emerged from dire poverty and benefitted from an increase of day scholars and boarders as well as an increase in vocations. By 1878, with numerous day scholars and twenty three boarders, the need for expansion was felt. Attempts were made to rent additional premises in Cospicua beside and opposite the House, but these arrangements could not last. So the whole year of 1878 were spent in trying to find suitable ground on which to build a new House. By late 1879 the Sisters set about gathering their resources and on the 3rd November 1879 the Sisters concluded the purchase of a house and garden in Cathedral Street, Sliema. The contract was signed and all was in order by the 4th December 1879. 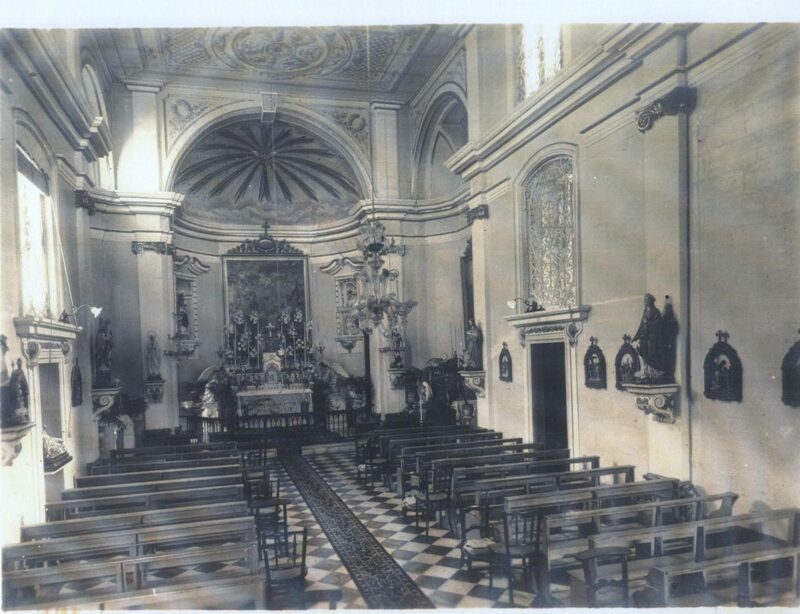 In March 1880, the foundations of St Joseph Convent, Sliema were laid. Building works were completed just over a year later. 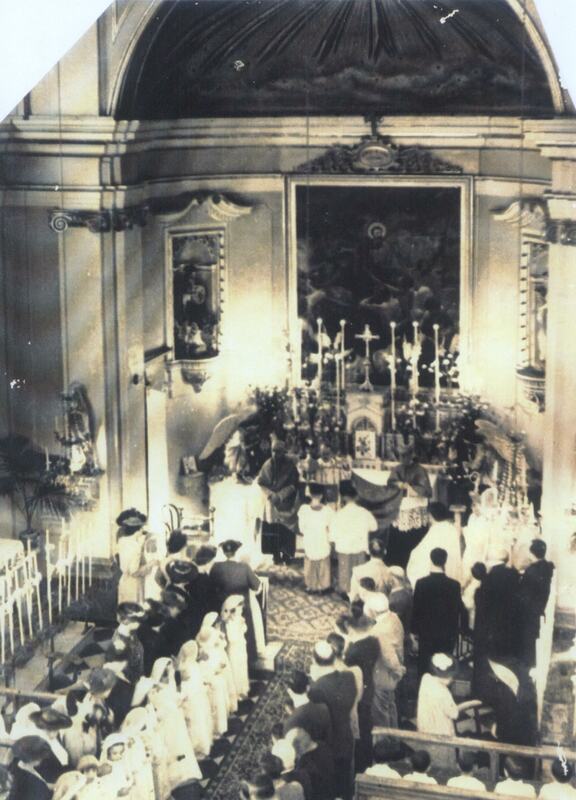 On the 9th June 1881 the blessing of the new house was carried out by Bishop Mgr. Scicluna. The ceremony was attended by several Canons from the Cathedral, families of past and present pupils and numerous friends. All the boarders and day pupils from Cospicua were brought over to Sliema on a steamer, dressed in their white uniform dresses and blue scarves. All the Sisters were congratulated on having succeeded in settling definitively in Malta. The following August, the Sisters began the move from Cospicua to Sliema. On Saint Bartholomew’s Day, 24th August 1881, the feast of the Apostle and the anniversary of the death of St Emilie de Vialar, the Sisters left Cospicua for good after having lived there for twenty three years. The Senior Section of St Joseph School, Sliema, is located in the original house in Cathedral Street opened by the Sisters in 1881. 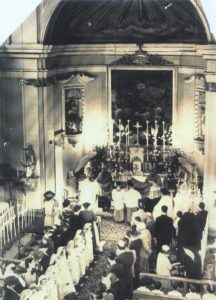 Emilie de Vialar was canonized a Saint by Pope Pius XII on the 24th June 1951. Sisters of St Joseph of the Apparition are found all over the world. In Malta they run schools in Sliema, Blata l-Bajda and Paola, as well as a children’s residence in Zabbar. St Emilie believed that a school was an apostolic means of offering help to the neighbour, and for her, education meant the education of the whole person. Each child was unique and the whole aim of Christian education was to help each child discover the personal love which God has for her. For Emilie, a great respect and concern for each child marked the ideal relationship within the school. Her ideas and her instructions to her sisters were very modern in attitude. Education was not merely academic but more importantly it should teach the students how to relate to the people around them. God knows and gave us our talents. He has entrusted us with a mission. We need first of all to pray for help. An educator should be consistent in her behaviour. She should be clear and firm. Use silence, it calms down excitement, brings back tranquillity and re-establishes order. Nothing is more effective than good example. In word, dress, behaviour and actions, a teacher must always be a model for the students. The teacher should be firm but gentle. A teacher should be vigilant. This means following carefully everything that is going on in the behaviour and work of her students. A teacher should be ready to freely help the poorer child, whether materially, academically or emotionally. The teacher must be impartial towards the students in her charge. Each student has a right to the care and attention of her teacher. There should be uniformity in our teaching so that our students know what to expect from us. This gives them a sense of security. A teacher should never be away from her class except for when it is absolutely necessary. She has a responsibility to give her students the best of her talents. There should be regularity in class. These principles that are meant to regulate the life of a teacher within a St Joseph School are further elaborated by the values which Saint Emilie developed. These values help to place in perspective the vision that Saint Emilie had for the Christian educator.